Wheeler Loaders for Sale in Utah | Wheeler Machinery Co.
Cat® wheel loaders can handle just about any type of material handling application with speed and efficiency. If you’re a business owner, a Cat wheel loader will enable you to complete more projects in less time, which will have a positive impact on your bottom line. Wheeler Machinery Co. is proud to offer the complete lineup of brand-new Cat wheel loaders for sale at our Utah locations. This includes the remarkable 994F, the world’s largest integrated tool carrier. 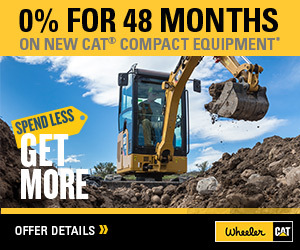 Wheeler Machinery carries Cat wheel loaders in a variety of sizes, including compact, small, medium and large and even block handler arrangement units. These state-of-the-art machines are equipped with integral quick couplers that enable lightning-fast tool changes, which saves time and avoids costly interruptions to your work processes. 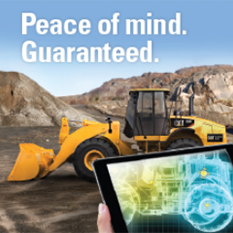 Our heavy equipment experts can help you explore the features of each machine so you can select the perfect model for your applications. 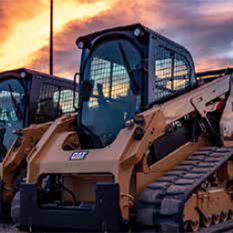 Learn more about how our extensive selection of wheel loaders for sale can increase the productivity and lower the operating costs in your Utah business operation. Contact Wheeler Machinery Co. today! We serve Salt Lake City, Vernal, St. George, West Jordan, South Jordan and all of Utah!